Jim has returned from his trip from Iceland and shares highlights in today's podcast! In recent photo news, Benro has launched a new 3-axis gimbal that has a convertible handle and gimbal manufacturer Zhiyun-Tech has introduced zoom control as well as focus control for its new flagship model, the Crane 3 Lab. Can't afford Photoshop? Photopea is a free Photoshop alternative that works directly in the browser and offers advanced features including spot removal, clone tool, layers, filters, and masks. Interested in buying or selling used photo gear? Gear Offer is an online marketplace for selling and buying used camera gear with fees lower than both Amazon and eBay. DxO announces the latest update to Nik Collection (version 1.1) that brings better compatibility, fewer bugs to the plugin suite. A number of Kansas City metro hotspots are putting up "No Trespassing" signs that specifically state 'No Photographers,'. 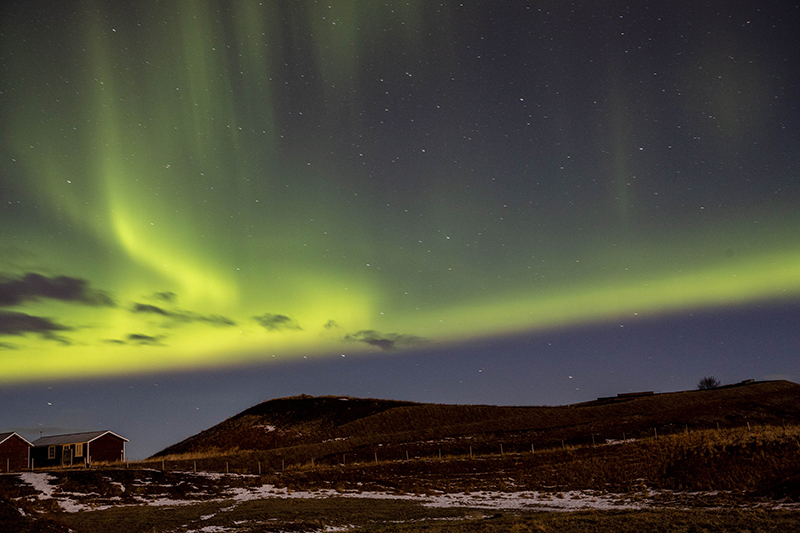 Iceland is a treasure and popular place for photography and is becoming more popular all the time. Jim has now led photo tours to Iceland for the fifth time and shares highlights from the most recent trip. We were fortunate to once again get the northern lights and even visited an 'ice cave', although the large cave was flooded and we had to settle for a glacier crevasse. All in all, great friends and we enjoyed traveling once again with Magnus who led Jim's previous trip. Coming up: reviews of the LitraPro, Ronin-S gimbal, DJI Mavic 2 Zoom as well as suggestions for stocking stuffers and a review of The Fotobug 2018 predictions along with predictions for 2019. Stay tuned and please check out and subscribe to The Fotobug YouTube channel!